Lhasa, meaning a habitation of God in Tibetan, has long been a holy destination where visitors look forward to going. The Potala Palace, Norbulingka Park and Tibet Museum record the great changes of the city, at the same time, exhibit traditional Tibet architectural features. The Jokhang Temple, Drepung Monastery and Sera Monastery offer unique insight into the devout pilgrims' religious lives. 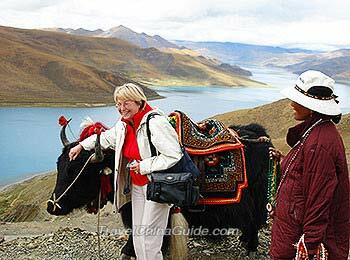 This 7-days tours is an ideal overland route that allows you to experience Tibet's most famous attractions, the magnificent Potala Palace, Drepung Monastery, Sera Monastery and the holy Yamdrok Yumtso Lake. 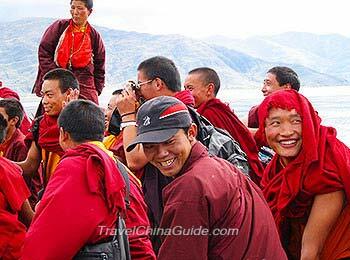 It is one of the most popular itineraries of any Tibet tours. As the birthplace of Buddhism, Tibet is a holy land full of religious influence. It should be on everyone's bucket list. This Lhasa city tour will take you to experience the Tibetan Buddhism, witness how devout the local worshippers are and appreciate the magnificently pristine plateau scenery. Following this 5 days private tour, you will visit the significant world-famous sites, witness the monks debating sutras in the Sera Monastery and experience the mysterious atmosphere when wondering around the cultural and religious old street. This elaborately planned private tour itinerary covering the most rewarding destinations in Tibet allows you to delve into the unique Tibetan Buddhist culture, ancient architecture, traditional folk custom and breathtaking scenery. Besides, visiting the Everest Base Camp and the holy Namtso Lake will leave you with everlasting memories. Normally, it takes around half a month to apply for the Tibet Travel Permit. You can enter Lhasa from Chinese cities like Beijing, Xi'an, Shanghai, Chengdu, Xining and so on, or you may also travel from Kathmandu, Nepal to Tibet. It is suggested that you join a local tour with a qualified agency as only the travel agency can help you obtain the permit. 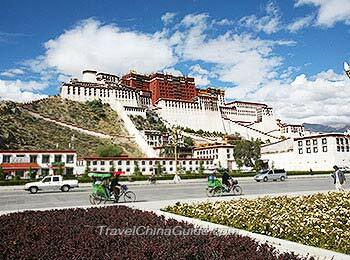 How far is it from Lhasa city to Gandan Monastery? 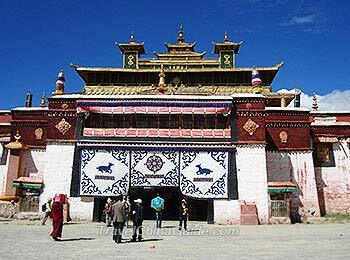 It is about 60 kms (37 miles) away from Lhasa city to Gandan Monastery and usually takes about 2.5 hours driving by car. What is the close time for the Tibetan Traditional Hospital? The close time for Tibetan Traditional Hospital is around 16:30. When is the best time to travel in Tibet? How to apply for the visa? The best time to travel to Tibet is from May to October. 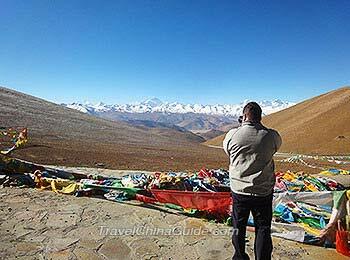 We will help to apply for your Tibet Travel Permit for you if you will take the tour with us. Can we visit Tibet and Everest Base Camp in March? Acutally we do not suggest clients visit Tibet in Mar as it is very cold in Tibet due to the high ailtitude. Besides, the local facilities in the remote area of Tibet is a little bit poor, especially in the winter time as there is no heating system at the hotels. If you do wish to visit Tibet and Everest Base Camp, you are advised to visit after May and before Oct. If your tour date can not be changed, you may consider visiting some warmer places like Guilin, Kunming, Lijiang and Chengdu etc.